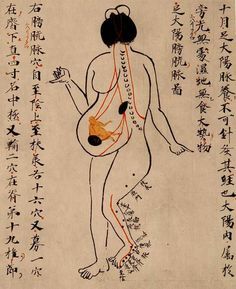 Traditional Chinese Medicine has a lot to offer if you need help with your fertility. For women, it is important that the menstruation cycle works well. Elisabeth treats all women with acupuncture and dietary advice, but for some it may also be necessary to add herbs and nutritional supplements. You will learn how to influence your fertility with your diet, exercise and rest. Your treatment is of course individually designed, depending on your diagnosis. Though, all individuals need a regular treatment protocol. This normally means one treatment per week. If you plan to start an IVF protocol, your acupuncture treatment will be designed to minimize the side effects from hormone supplements. In other words, the acupuncture treatments are designed for an optimal hormone regulation control and stimulation process. Another important acupuncture treatment during an IVF is when the embryo is inserted. For men, it is important that the sperm are plenty enough and that they are viable. This mean that they should have a good morphology, i.e. the right shape and structure. With acupuncture treatments and possibly nutritional and herbal supplements, these factors can be improved if you follow a regular treatment protocol. As for women, this normally means one treatment per week. Keep in mind that it takes about 72 days for a sperm to develop, so if you’re planning an IVF, you need to plan your treatment accordingly. It is important that you learn how to optimize your fertility with a proper diet, exercise and rest. All these factors contribute to your treatment protocol.